We frequently come across families that trade & invest together in sync with each other. A common inconvenience they faced is tracking multiple portfolios with the same scripts bought at different times, different prices & through different accounts. Tracking your portfolio becomes a lengthy process, and at SAMCO we hate lengthy processes! So with the SAMCO Family Back Office ,you can track your entire family’s portfolio with a single click! You can be both a Family Admin & a Family Member. Login to the STAR Back Office Account you want to designate as Family Admin. Click on the Family Tab in the left Column & click on the Family Admin Tab. Add the SAMCO Client Code of All the Family Members. That’s it! We will send an email and flash your request on their STAR Back Office to all your family members for their confirmation & all they have to do is accept the invitation. Note: Also add your Client Code to the Family Admin Panel. Provide your Client Code to the Family Admin. Accept their Invitation sent via SAMCO Star or E-Mail. After their acceptance, you can view their details by logging into the SAMCO Star Back Office as usual & clicking on the Family Login button. View the Ledger & Trade Books of your family members. 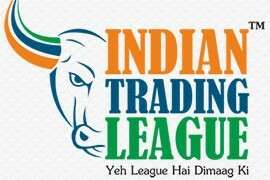 See their Indian Trading League Ranks. View the Open Positions & Stock Holdings client wise & script wise. Make Withdrawal requests for any family member for any segment. Note: Withdrawals will only be credited to the linked bank account of your family member. If some of your family members are not trading with SAMCO, head to the Referral Center in the SAMCO Star Back Office and refer them! your idea is good. but one of the requirements to open a trading account is confusing..which is income proof. what if I am a retired person who is not working now or what about a house wife who is not working. How can they meet this reqirement? 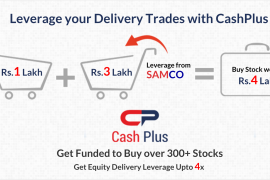 You can open even a simple trading and demat account (w/o derivative trading) even without submitting Income Proof. Income proof is a mandatory regulatory requirement for Derivatives Trading. While we understand that it’s a cumbersome process, we can’t do anything about it since we are bound by regulations.